WASHINGTON -- U.S. home resales fell in October to their lowest since June due to an inventory shortage and high property prices that have dampened buying power. The National Association of Realtors said Wednesday that sales of previously owned homes fell 3.2 percent last month to an annual rate of 5.12 million units. Economists polled by Reuters had expected sales to drop to a 5.13 million unit pace in October. At the same time, the median price rose 12.8 percent in October from a year ago to $199,500. It was the 11th straight month of double-digit gains, and up from last month. October's inventory was 2.13 million existing homes for sale, up just 0.9 percent from the year-earlier period, representing five months' supply at the current pace. The pace of annual sales growth decelerated to 6 percent in October, as tight credit conditions and high borrowing costs are impacting the housing market recovery. Purchases fell in the month in all four regions, with the most dramatic drop seen in the West, where they declined 7.1 percent. First time buyers remain on the sidelines, representing 28 percent of all home purchases, which is below the historical average. %VIRTUAL-article-sponsoredlinks%The rate has fallen below 30 percent for 7 straight months. At the same time, cash purchases remain elevated and account for about 31 percent of home purchases. Investors snapped up 19 percent of the market, similar to the September sales figures. Sales in coming months are also expected to be hampered by a lack of inventory on the market and a government shutdown that has halted some final property transactions. 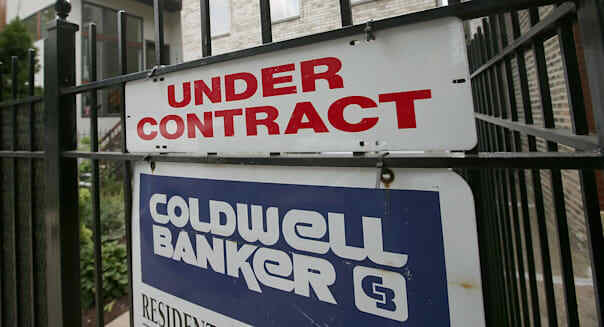 The NAR said a combination of high home prices and increased mortgage rates was hurting affordability. The trade group said the rate of newly constructed homes is disappointing and hampering the broader housing market recovery. U.S. home resales fell in October due to an inventory shortage and high property prices that have dampened buying power and are expected to drag on the recovery.